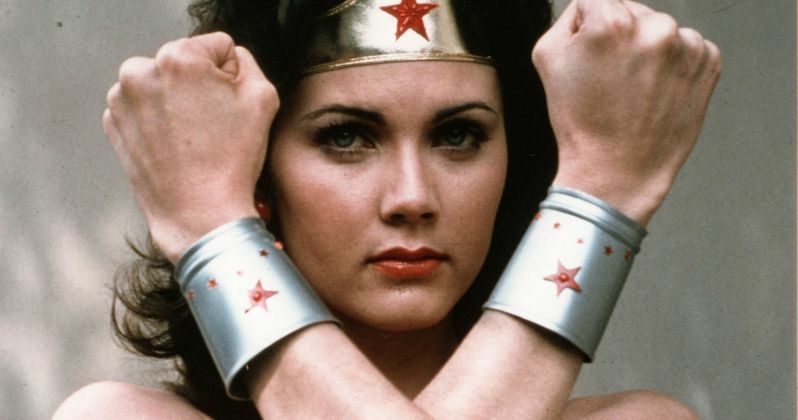 When Patty Jenkins' Wonder Woman hit theaters earlier this summer, many fans were left wondering why television's Wonder Woman Lynda Carter didn't make a cameo. Carter revealed that there were talks about a cameo, but scheduling conflicts kept her away. That may all soon change as early talks of Wonder Woman 2 are underway, and it appears Lynda Carter has been talking to director Patty Jenkins about a cameo in this impending sequel. Lynda Carter recently sat down with People and discussed the Wonder Woman movie and its success. The talk leads to a question about a possible cameo in Wonder Woman 2. While discussing the possible big screen appearance, 65-year old Carter also discussed her love for Patty Jenkins, and the real reason she wasn't in the first big screen adaptation of Wonder Woman. She explains. "We were trying to get me in the first one and we couldn't make it work with our timing... It really is up to Patty, and if it works in an organic way it'll be great fun and it'll be wonderful to do. Am I open to it? Absolutely. I ADORE Patty Jenkins, and it'll be wonderful to do. But we'll just see how it goes." Carter went on to say that she had faith in Jenkins and star Gal Gadot before even seeing the movie. while reasoning that the character of Wonder Woman is much more than what we see in the comic books. She says this. "I was so taken with the both of them, and taken with Patty from the beginning when she very first got this film, and we talked on the phone. I just said that she knows who this character is. Because Wonder Woman, it's the idea of her. It's not about superpowers, it's about her intellect and compassion. It's so much more than some comic book character, because we identify with it." Critics have echoed Carter's sentiment about the characterization of Wonder Woman in the movie, pointing out the humanity and emotion that built the character while providing a foundation for the movie. Jeff Berg and Geoff John from DCEU have also admitted that the character development and streamlined story helped Wonder Woman succeed. Carter was also ecstatic to see a whole new generation of fans flock to the world of Wonder Woman, a legacy that she helped create. It's amazing that it took this long to get Wonder Woman on the big screen, but now was the perfect time to introduce the superhero. Women were inspired by Carter's portrayal of the female superhero in the 1970s all the way up to present day and now new generations of younger fans are being introduced to the character through the work of Patty Jenkins and Gal Gadot. Carter explains. "Women are coming out of the movie feeling emboldened, feeling good about themselves. Because that's who we are. We are half the world, and we want to represented as half the world." Geoff Johns has said that he and Patty Jenkins are hard at work writing the sequel, but nothing official has been announced just yet. But it would be great to see Lynda Carter on the big screen as way to pay homage to the trailblazing work that she accomplished for Wonder Woman and women over the years. While no information about the sequel has been announced, it has been rumored that it will take place in the 1980s, pitting Wonder Woman up against the Soviet Union, which is kind of like what Carter did in the original television show.